This view is looking west along Trowell Moor. 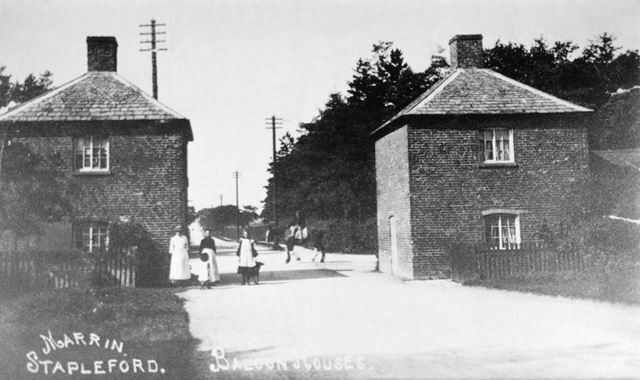 The houses were demolished in 1924. The area, the crossroads of Trowell Moor, Wollaton Vale, Coventry Lane and Bilborough Road, is still known as Balloon Houses. See NTGM005726 for a clearer, cropped version of this image.